First Biannual JEE Main Concludes. 72% Candidates Take Both Exams. The JEE main result will be announced latest by April 30, as per the exam schedule released by the exam conducting agency. The first biannual JEE main, engineering entrance exam, concluded on April 12. While 10.25 lakh candidates took the second edition of the exam held in April, 10.13 lakh candidates had appeared for the exam in January. "72% of them are common candidates," tweeted Union HRD Minister Prakash Javadekar two days after the exam concluded. "For the first time, the candidates were given the opportunity to appear JEE Main twice in a year - January & April - and best of the two scores will be taken for ranking of candidates. This decision of Narendra Modi government has been widely welcomed by both students & parents," he added. The Union Minister's tweet details security measures taken to ward off cheating and malpractices at exam centres. National Testing Agency (NTA) steered both the exams. 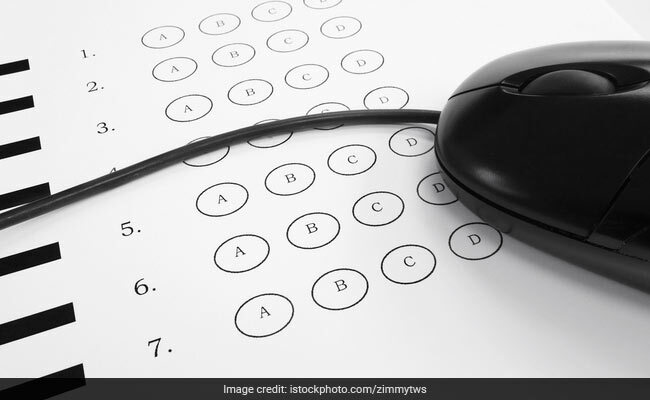 So far, the agency has released the preliminary answer keys for all the sessions of JEE main exam held on 7, 8, 9, 10 and 12 April. Candidates are free to challenge the answer key. The JEE main result will be decided on the final answer key. The JEE main result will be announced latest by April 30, as per the exam schedule released by the exam conducting agency. The result for architecture paper will be released before mid-May.